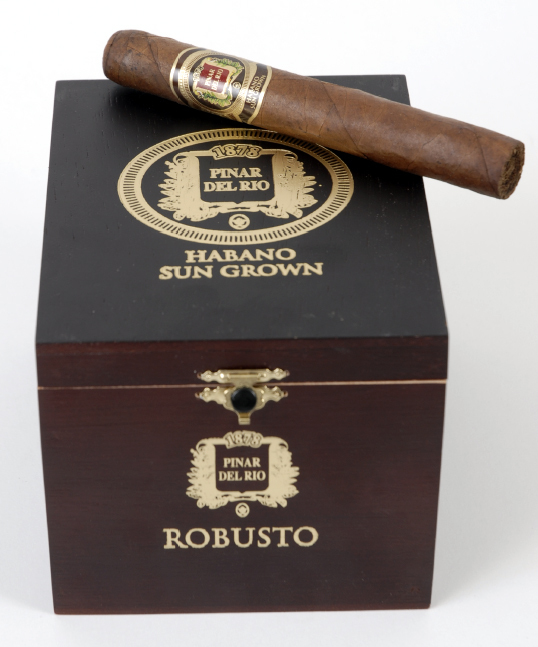 Two Cuban corporations sought to cancel a Supplemental Registration for the mark PINAR DEL RÍO for cigars, on four grounds: Section 2(a) deceptiveness; Section 2(e)(3) geographically deceptive misdescriptiveness; violation of the Pan American Convention because the mark is an indication of geographical origin or source but the goods do not come from that place; and fraud. Respondent Rodriguez moved to dismiss for lack of standing. The Board denied the motion, ruling that the Board has subject matter jurisdiction and that Petitioners have standing. Corporacion Habanos, S.A. and Empresa Cubana del Tabaco, d.b.a. Cubatabaco v. Juan E. Rodriguez, 99 U.S.P.Q.2d 1873 (TTAB 2011) [precedential]. The Board explained that "the Cuban Assets Control Regulations ('C.A.C.R. '), 31 C.F.R. part 515 et seq., which implement the United States trade embargo against Cuba, generally prohibit transactions in the United States involving property, including trademarks, in which Cuba or a Cuban National has an interest, unless licensed or exempt." A general license authorizes transactions related to the registration and renewal of trademarks in which Cuba or a Cuban national has an interest. *** Transactions by or on behalf of Cuba or Cuban nationals that are not authorized by the general license, such as a cancellation petition on the grounds that a trademark is geographically deceptively misdescriptive, must be authorized by a specific license issued by the United States Department of the Treasury’s Office of Foreign Assets Control (OFAC). file and prosecute a cancellation petition in the Trademark Trial and Appeal Board of the United States Patent and Trademark Office to the registration 'PINAR DEL RIO' for cigars filed by or registered to Juan E. Rodriguez, Gretna, Louisiana, Reg. No. 3542236. Respondent Rodriguez, relying on Empresa Cubana del Tabaco v. Culbro Corp., 478 F.Supp.2d 513 (S.D.N.Y. 2007), contended that Petitioners may have standing to cancel his registration only if the cancellation "is related to an effort by petitioners to have the USPTO accept an application filed by petitioners to register a similar competing mark." The Board, however, distinguished that case on several grounds: first, that decision concerned Article III standing, but the TTAB is not an Article III court; second, Culbro involved the issue of whether the acquisition of "a priority right under Trademark Act Section 43(a), through advertising in the United States, where the goods were available for purchase only outside the United States, amounted to the acquisition of a property interest under Trademark Act Section 43(a), and thus a transfer of property to the Cuban plaintiffs which had to be specifically licensed." Here, there was no requirement that Petitioners establish a property right in order to succeed on its claims under Sections 2(a) and 2(e)(3). Furthermore, Petitioners obtained a specific license from OFAC for the cancellation, and so the Board had subject matter jurisdiction. As for standing, ownership of a trademark registration is not required under Sections 2(a) or 2(e)(3). Petitioners alleged that their world-wide business in exporting cigars (except to the USA) would be damaged by Respondent's use of his deceptive and misdescriptive mark. Thus, Petitioners alleged a real interest in this proceeding, and they have standing. Moreover, where, as here, the pleaded ground is that the mark sought to be cancelled is deceptive under Section 2(a), or primarily geographically deceptively misdescriptive under Section 2(e)(3), petitioners do not need to own a pending application for the mark, do not have to be using the term as a mark, or even use the term at all, in order to establish their standing. The Board then reviewed Petitioners' pleading and found that it adequately alleged a claim under Section 2(e)(3). Because Petitioners had standing for at least one claim, they are permitted to assert "any other legally sufficient ground as well, including the claims based on Section 2(a), the Pan American Convention and fraud." TTABlog comment: This is one of several Board decisions in the past two years, allowing foreign entities to pursue TTAB proceedings despite their lack of trademark rights here: see Petróleos Mexicanos v. Intermix S.A., 97 USPQ2d 1403 (TTAB 2010) [precedential] (foreign petitioner need not allege proprietary rights in its name for purposes of standing to bring Section 2(a) claim); Fiat Group Automobiles S.p.A. v. ISM, Inc., 94 USPQ2d 1111 (TTAB 2010) [precedential] (foreign owner without use of its mark in the United States may bring a claim for dilution based on the fame of its mark here, provided that it has filed an application to register the mark in this country). Text Copyright John L. Welch 2011.